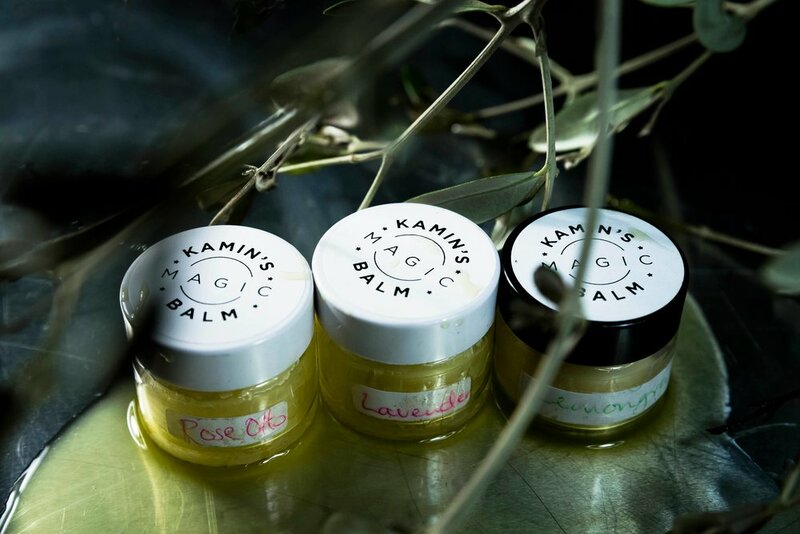 A unique all-purpose balm handmade from our home-produced organic 'green' first cold-press extra virgin olive oil from Tuscany. Our ‘green’ extra virgin olive oil is produced from green olives before they reach full maturity, usually harvested in late October. It is very high in chlorophyll which explains its green colour and peppery flavour. The best olive oil extract with the most nutrients is oil that comes from the first cold press of the olives itself, as ours is. It is more nutritionally rich than ordinary olive oil, richer in polyphenols and antioxidants than regular extra virgin olive oils. Because green olives don’t contain much oil, ‘green’ oil is more expensive to produce. 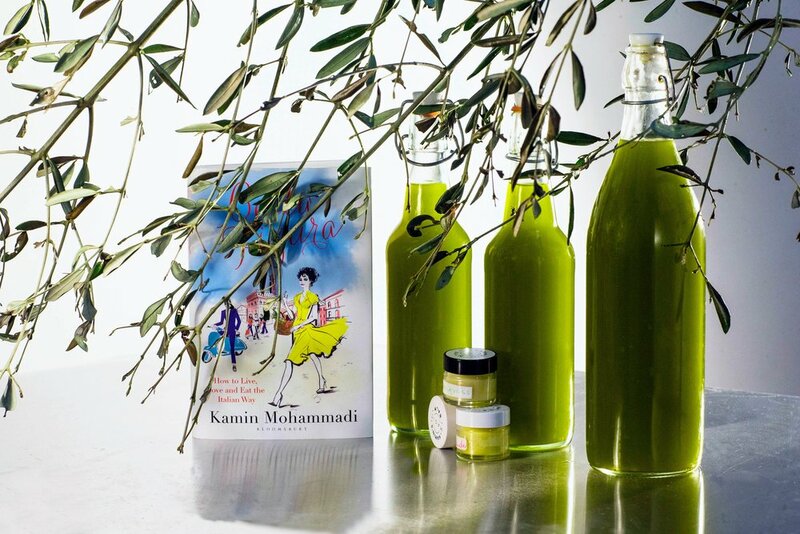 This olive oil is available in limited quantity as production has a very short season. In the UK it is virtually unknown and not widely available. "The lavender balm helps my restless 10-year-old fall asleep and the neroli is divine when rubbed into my stiff and achy feet. Can't recommend this lovely balm enough. Magic!" Tuscan olives have been famed since Roman times for producing olive oil with an amazing flavour and excellent digestive qualities and nutrition. The recipe for making olive oil has been passed down through the generations from the Etruscans and Romans onwards. 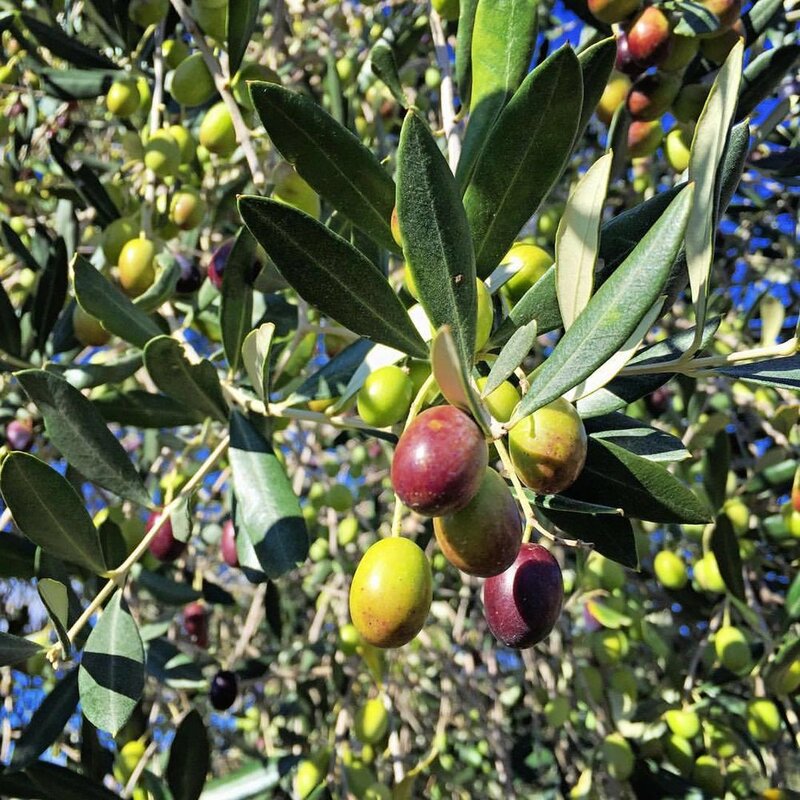 Our olive trees are hundreds of years old, and lovingly harvested by hand by the family. No chemicals or treatments have ever been used on them. "I bought it for my niece (aged 18 with combination skin) and myself (slowing ageing and weathered skin from working outdoors) we both love it for different reasons." "I loved it! smells and feels gorgeous. Truly magic." 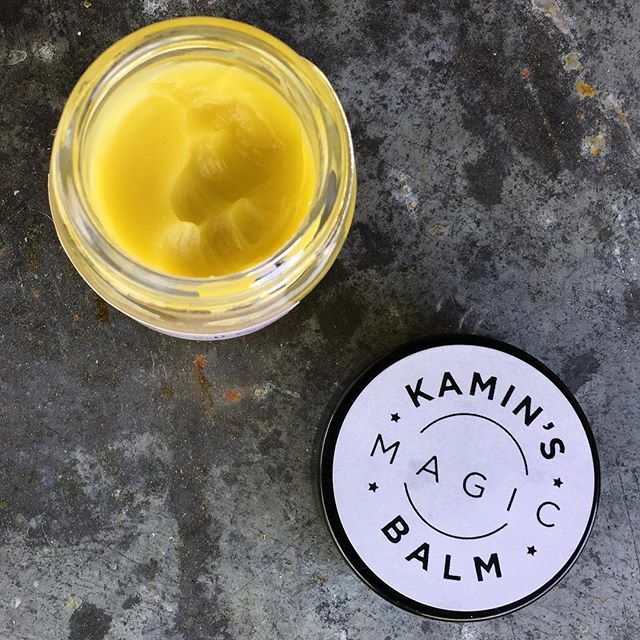 I believe so passionately in the magical healing qualities of our olive oil that I invented Kamin’s Magic Balm to use on my own skin. I blend the ‘green’ oil with raw organic coconut oil, triple filtered organic beeswax, and a variety of excellent quality essential oils. Suitable for use all over the body and face, it works its magic not only on dry skin, but also on burns, bruises, eczema and rosacea. Each pot is handmade to order by me, and, as a Reiki healer, I also fill the balm with Reiki healing love and energy. It is absolutely pure and has no chemicals or preservatives. a Hollywood A-lister of itchy swollen hands before a public appearance (witnessed with my very own eyes); and my sun, cold and wind-burnt face post-skiing."